This Rivesaltes is an atypical wine in that the grapes, cultivated on limestone causses, have been 'muted' during vinification. This means that the winemaker has stopped the fermentation process by adding liqueur to kill the yeast. 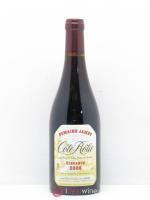 The wine is then matured in the sun for eight months in barriques. This gives it a deep colour and a host of astonishing aromas. 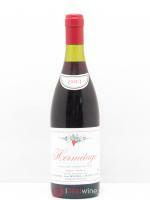 On the nose, baked fruit and dried fruit jostle for position and the palate is powerful, silky and creamy. 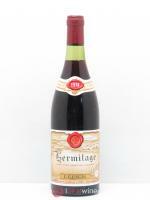 This is an ideal wine for gourmet foods such as blue cheese or chocolate desserts. A truly meditative wine! Château Mossé is located in the small historic village of Sainte Colombe de la Commanderie, on the site of a former eleventh-century Templar stronghold. The domain was founded in 1884 by the great-grandfather of the current owner, Jacques Mossé. It is located in the "Les Aspres" terroir, consisting of the eastern foothills of Mont Canigou, the last Pyrenean peak before the Mediterranean. The term aspres means "arid" in Catalan: the terroir here is sunny, hot, dry sloping ground with clay, limestone and schist soil. It is one of the favoured terroirs for the great vins doux naturels, produced mainly from Grenache Noir, but also Grenache Gris and Maccabeu. During the Great War, Georges Mossé (1884-1964), the father of Jacques Mossé, was in the habit of keeping back a portion of his harvest to ensure he had reserves to see him through tough times. 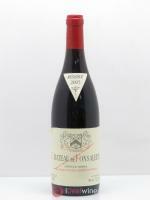 Hence we now have intact examples of these wines, which are now true collectors' items.